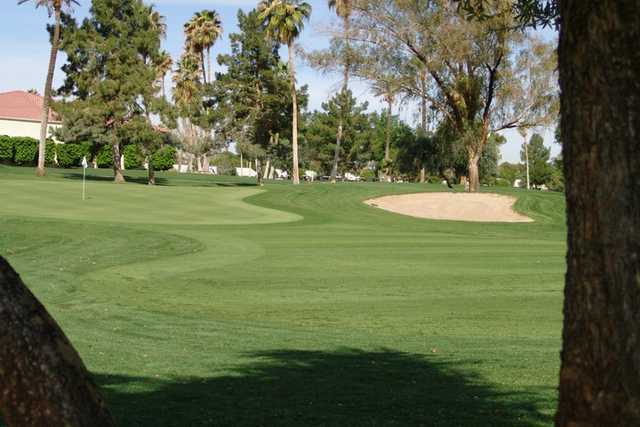 Located in Sun City, Union Hills Country Club is considered one of the northwest valley's best-kept secrets. 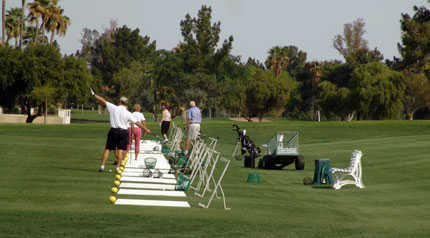 The golf course stretches across scenic desert terrain that was once covered with cotton fields and orange groves. Greg Nash designed the course in the mid 1970s. 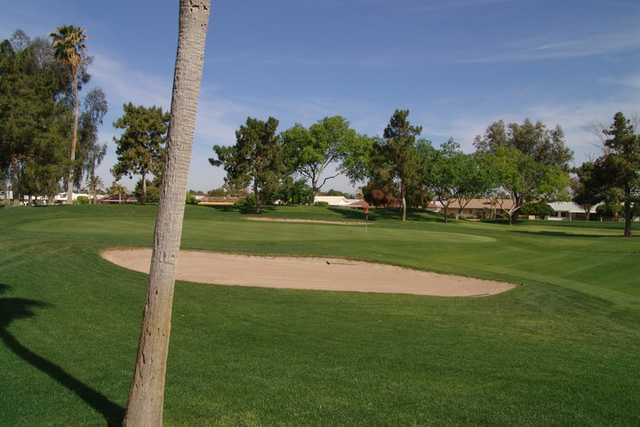 It has a traditional layout with wide fairways that offer plenty of room. 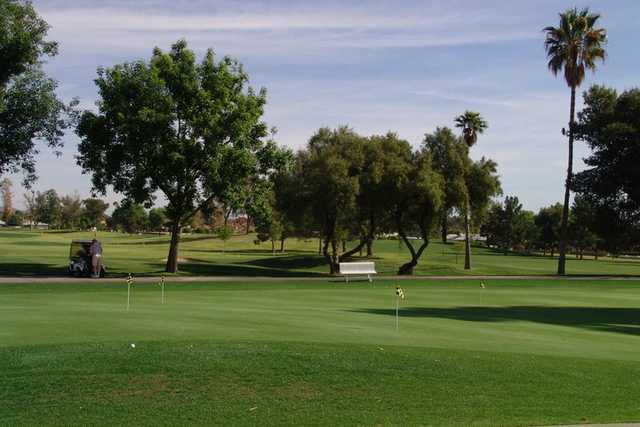 Located in Sun City, Union Hills Country Club is considered one of the northwest valley's best-kept secrets. 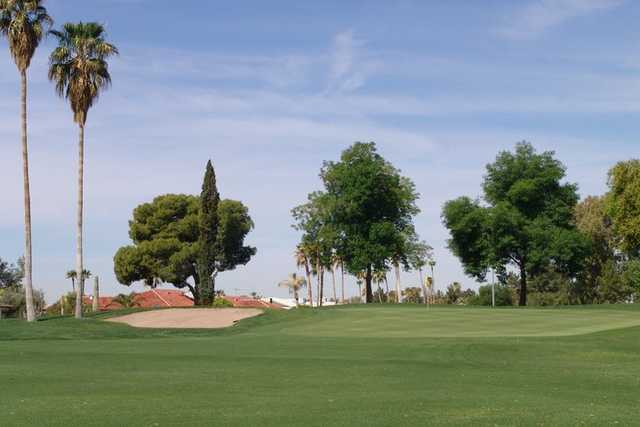 The golf course stretches across scenic desert terrain that was once covered with cotton fields and orange groves. Greg Nash designed the course in the mid 1970s. It has a traditional layout with wide fairways that offer plenty of room. It's player-friendly enough to appeal to all skill levels. Water comes into play on a few holes and there are strategically placed bunkers lurking throughout as well. The design is mostly straightforward with no hidden hazards but there are a few holes that will make you think. Union Hills Country Club is not the area's most formidable, but it is one of the most affordable and it offers something for both low and high handicappers. I've played this course 25 time, usually during spring training, and every time, I've been treated really well and It has been a fun experience except for my horrendous golf. Union Hills is located in a nice retirement community. The course is semi private, however I have never had any issues getting a tee time. The course is fun to play, the holes are a variety of long par 5's and fun par 4's. The course is not that great but the fact that the staff was so unfriendly just did it in.The person at the front desk stared at me and my friend for like 30 seconds before finally saying, whatta ya want? Excuse me, there are plenty of other house infested average courses in Sun City, sorry to bother you! not a good experience.